BP deal renewed. We vow to overturn it. – BP or not BP? BP deal renewed. We vow to overturn it. Posted on July 28, 2016 September 29, 2016 by BP or not BP? 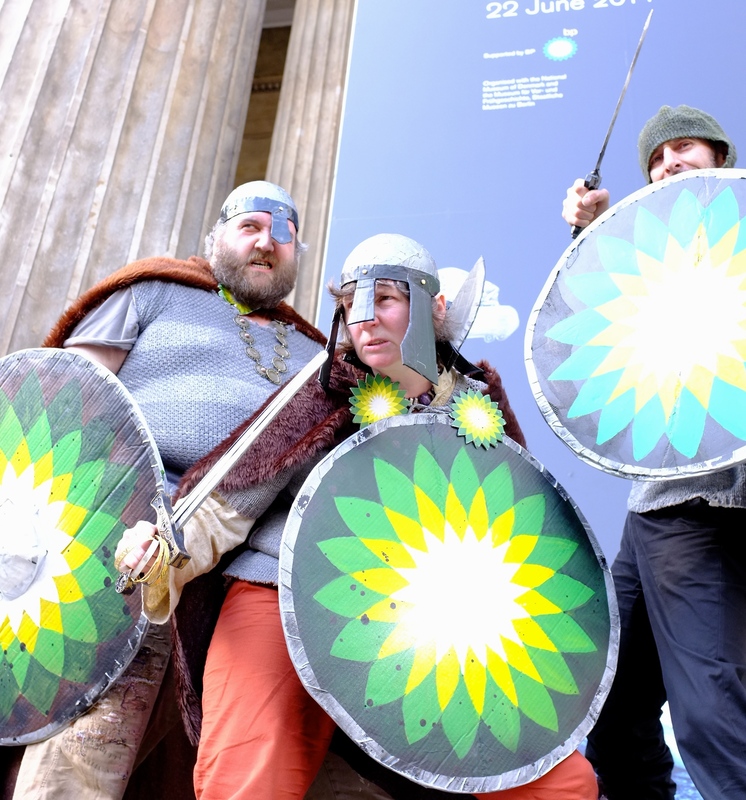 Join our Splashmob at the British Museum on September 25th to challenge this new BP deal. 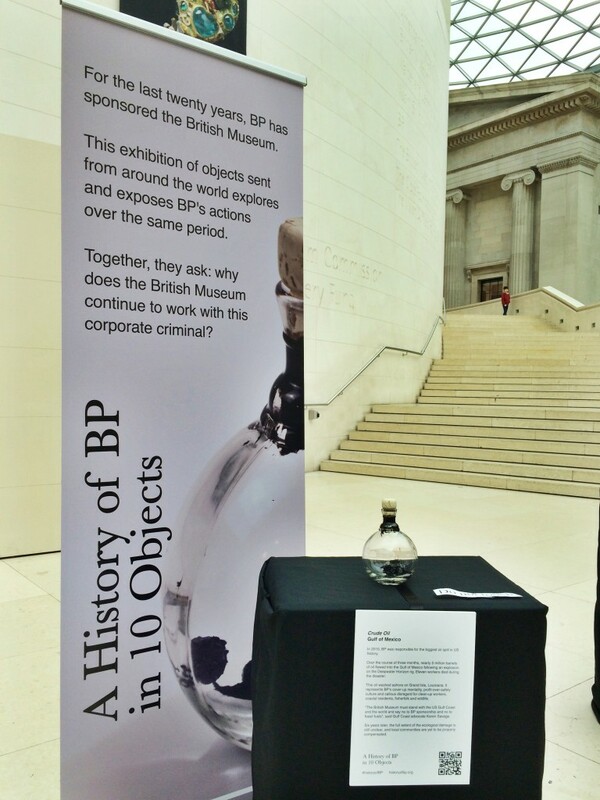 Today, BP announced that it has signed a new £7.5 million 5-year sponsorship deal with the British Museum, National Portrait Gallery, Royal Opera House and Royal Shakespeare Company. We intend to challenge and overturn this terrible decision. This will be a hugely unpopular move and wildly out of touch with the mood across the cultural sector. Just weeks ago, BP’s corrupting influence over these cultural institutions was exposed in a damning report, uncovering the way the company uses sponsorship to keep drilling, spilling and cosying up to corrupt regimes. To make this decision at a time when the Museums Association is considering whether its Code of Ethics has been breached shows that the commitment of these institutions to ethics and sustainability is not worth the paper it’s written on. At a time when the world needs to urgently shift away from fossil fuels, the idea that these institutions will still be promoting an oil company into the 2020s is deeply irresponsible. As the devastating effects of climate change become ever more apparent, this decision will look more shortsighted with every passing day. It is also a kick in the teeth to everyone dealing with the negative consequences of BP’s operations around the world. In making this decision, these cultural institutions are going against the wishes of the people of London, large numbers of their own workers, and many respected cultural figures, scientists and academics. ‘The news that a number of cultural institutions have decided to renew sponsorship with BP comes after 14 consecutive months of record global temperatures. While it’s widely acknowledged that we can only consume a fraction of known fossil fuel reserves if we are to avoid the worst impacts of climate change, BP’s business model depends on finding and burning more. Sponsorship deals have been cancelled in the past due to public pressure. BP or not BP? intend to do everything we can to overturn this decision, and call on the cultural world to condemn it creatively and vocally. We invite you all to our next rebellious performance in the British Museum – the Sunken Cities Splashmob on 25th September. Let’s show the British Museum, and all the other institutions taking BP’s money, that this decision will not stand.